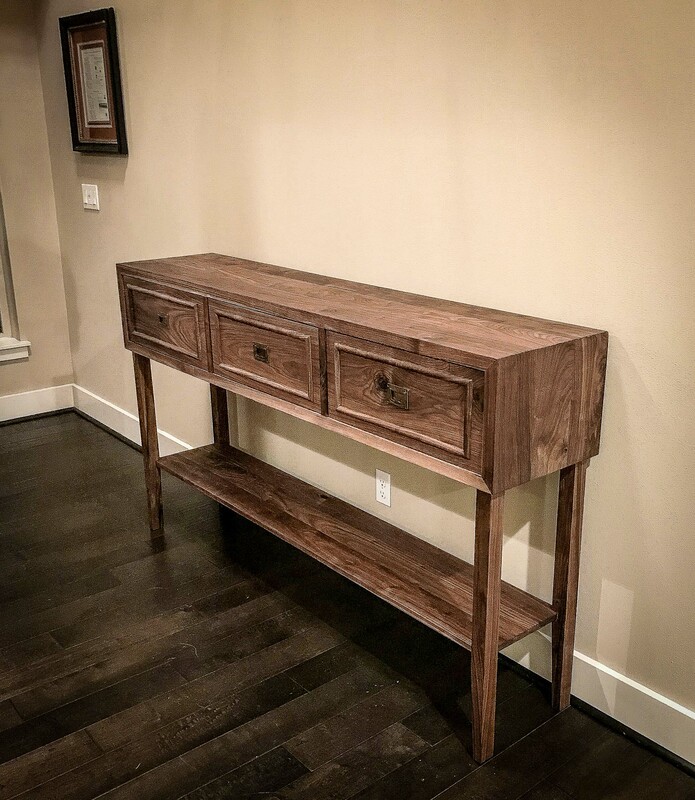 The Bainbridge console combines function and design into a narrow one-of-a-kind entry table. 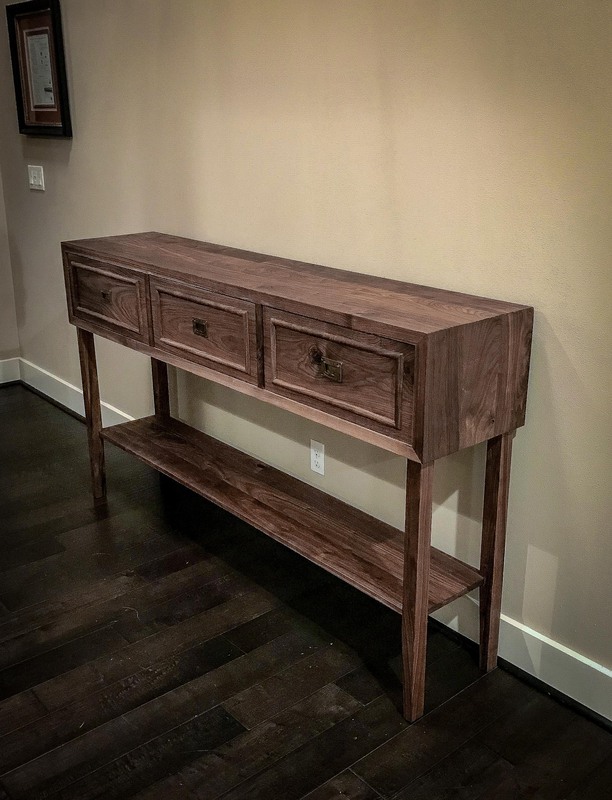 This modern example of solid walnut furniture is truly an entry statement. The Bainbridge console features proprietary walnut wainscot drawer faces on Blum soft-close drawers with invisible hardware. 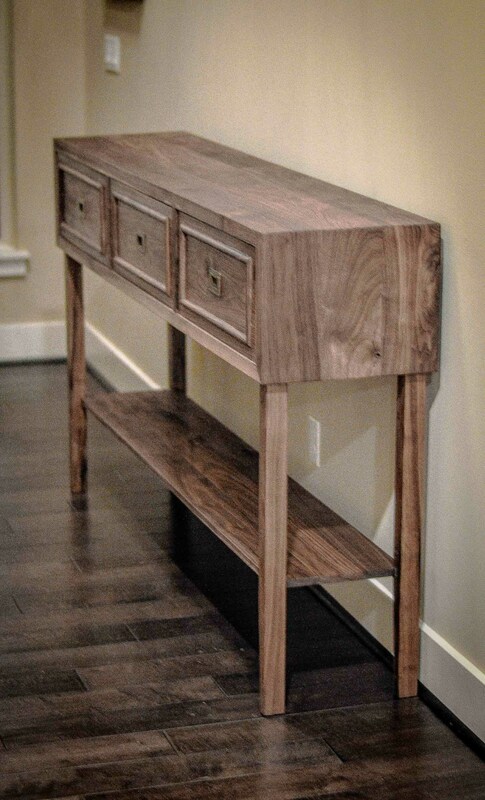 The lower shelf is dadoed into the legs for stability that will last generations. 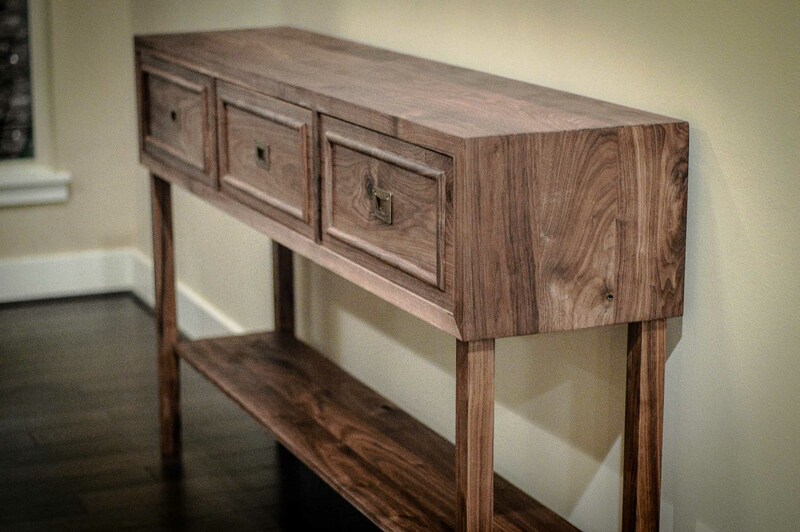 • Each Bainbridge Console is made to order, please allow 6-8 weeks for delivery.